Savannah Schroll Guz, and Weave Issue 03 contributors Brenda Battad and Adam Atkinson. marimba performance by Marcus Joel Kim. Science Fiction/Fantasy writer Lawrence C. Connolly presents: Visions and Soundscapes. Featuring James Allen Hall (poetry) and Valerie Laken (fiction). There is much going on here at Weave Magazine! 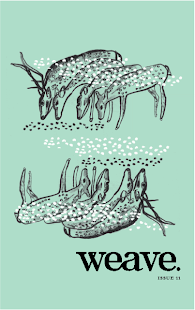 Margaret, Laura, Joel, and Robyn are plugging away at the plethora of submissions for issue 04. If you haven't heard from us yet, never fear! Margaret swears all responses will be sent by April 15th, come hell or high water. Weave will be heading to the AWP again this year - we're sharing a table with the fine folks over at Open Thread and Margaret will be on the panel The In Sound from Way Out: Submission to Publication - come by and introduce yourself! We love meeting contributors and readers! Margaret promises to only be a little bit socially awkward. She's full of promises it seems. In fun distribution news, you can now pick up a copy of Weave at Awesome Books on Penn Avenue in Pittsburgh (they don't seem to have a website yet, but it's a lovely independent used bookstore right next to Spak Brothers, for those familiar with the area). Weave is also available at the independent bookstore Penguin Bookshop in Sewickley. Margaret and Laura can't wait to go there and poke around! Finally, we at Weave are having a special offer for the remainder of the month of March! Only a few copies of Weave's first issue remain, and the next 8 people who subscribe to Weave will receive a copy of issue 01 for FREE! How awesome is that? Totally awesome and you know it. So go subscribe! 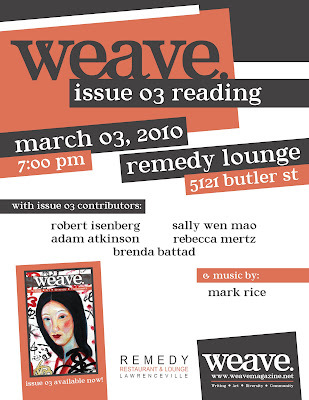 Weave Magazine is celebrating the launch of our third issue in two years. 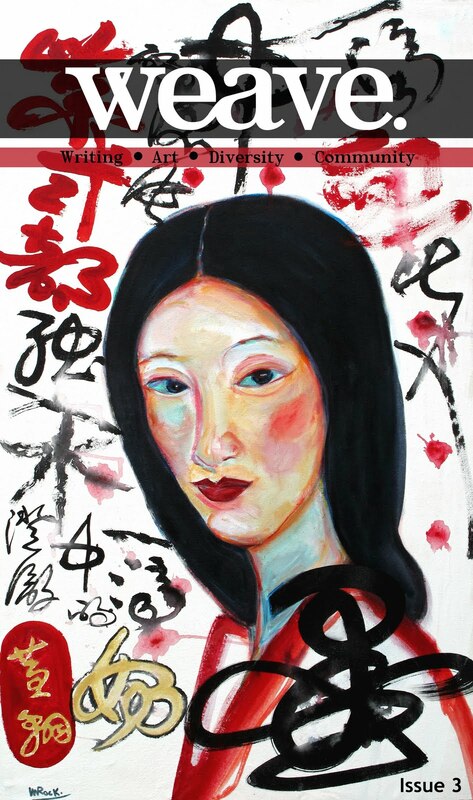 Check out readings and performances from issue 03 contributors. And of course, the bar is only a short walk from the stage. Check us out in PopCity's Pop Filter! stage. Songwriter Mark Rice also to perform. Featuring Cheryl Dumesnil (poetry) and Susan Messer (fiction).